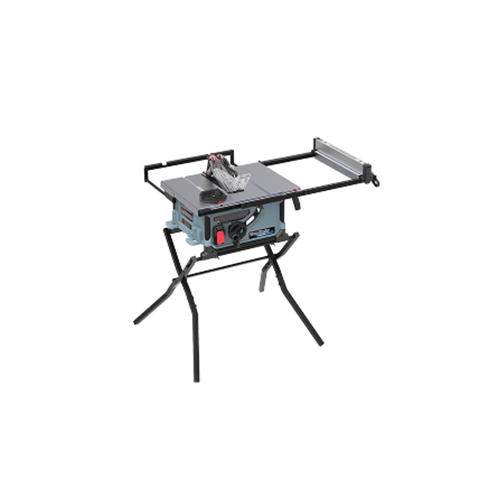 The DELTA ShopMaster S36-300 10" Portable Table Saw features a 31" right-hand rip capacity with a 12" left rip. The S36-300 patented rail/fence offers a single handle fence design that squares easily producing consistent cuts. Our Industry-standard, tool-free split guard design delivers a true rise and fall riving knife with a retractable blade that provides easy tabletop cleaning. Experience the capability to complete many woodworking projects with a powerful and dependable 15-amp motor and secure stand that provides easy transportation and storage.